Emergency saving is required to overcome the sudden financial crisis. It can be a sudden job loss, a huge medical bill or an unexpected home repair. The emergency fund can help you to survive in that particular period of crisis. On the other hand, lack of emergency savings can make the situation worse for you. But unfortunately, most of the people in the UK do not know about this process. For them, Portia Grant offers her Ebook for the first time. This ebook will let the people know what are the risks involved when you do not have an emergency fund. In most of the cases, it can be seen that people have to take huge debt to overcome the sudden financial crisis in their lives. But if you go for small partnership savings then you can easily lead a debt free life. The savings plan will save you from debts and financial turmoils as a reliable partner. The ebook will let you understand how you can save small and utilize that fund in case of emergency. Since this is a partnership saving plan, you get the chance to have big benefits out of small contributions. You can also utilize that fund for buying your dream car or going on your dream vacation when you join Portia Partnership Savings Plan. 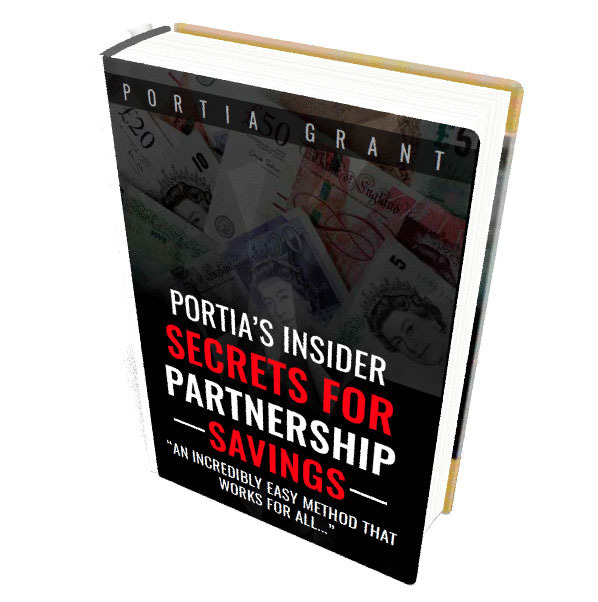 The ebook will guide you and tell you the secrets of partnership savings. Order the book online and enjoy saving.